Just before 2015 signed off, Netflix surprised Marvel fans with a first look at Daredevil Season 2, spilling a few photos and details ahead of the presumed spring premiere. Buried amid the reports however, was a suggestion that Season 2 might premiere in March of 2016, rather than the April of last year, so is it too good to be true? 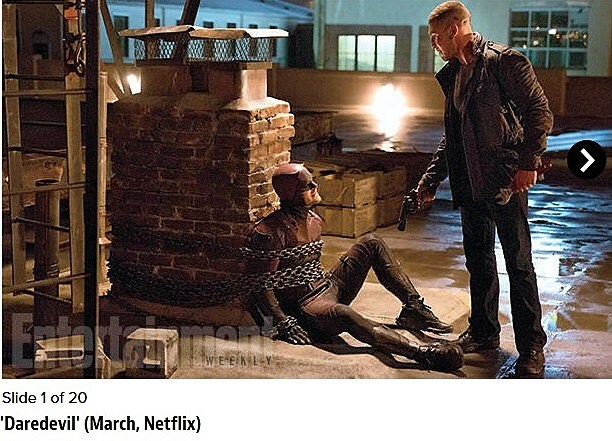 Notably, Daredevil Season 1 debuted on April 10, announcing its renewal a mere eleven days later, leaving many to presume Marvel would debut Season 2 in the same window. EW may simply have jumped the gun, but for what it’s worth, we reached out to both Marvel and Netflix for a comment, the former declining an official remark, and the latter keeping silent as of publishing. We don’t know exactly when Netflix’s Daredevil will return just yet, but watch the first trailer again below, and stay tuned for the latest on new developments!